My name is John and I have been a contractor for about 20 years specializing in kitchen and bathroom renovations in the old homes of Toronto. Not only do I work in old homes, but I live in one as well because I love old homes. The beauty of working in old homes is that there is often something new or interesting to be found or discovered. That means that, although I have years of experience in the field, there is always something new that comes along that I can learn from. 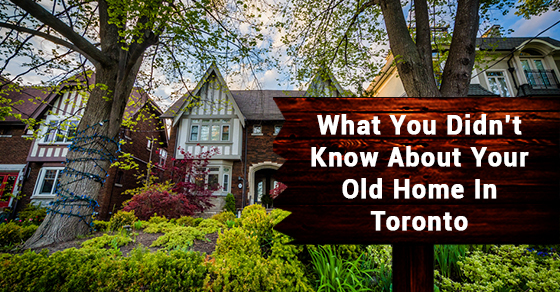 It can be something as simple as the way a plumber hooked up a drain in the late 1800’s in a Cabbagetown residence or perhaps, somewhat more complicated, the way the knob and tube wiring has been run in a house. But these are the exceptions. The bulk of our days are kept busy with regular and predictable scenarios that we simply work our way through. However, what we consider regular and predictable in an old home can be quite surprising for a homeowner and this is what I want to explore with you. Your old home is generally not the black box that you may have been led to believe and I want to shine some light on it. My goal in blogging is to discuss some of the key questions and concerns that many of my customers have repeated over the years while complementing this by using some real-life examples that I have come across to keep it interesting for both you and I.
I will provide links to background information where appropriate so that you will have a basis of understanding on the topic in question. This will allow me to focus my blog on specific ideas and comments as they relate to old homes in general and in Toronto specifically. I am sure I will deviate from this plan from time to time and get into other related topics such as how a contractor may view their customers. I imagine that might be a new perspective for the reader.